Order in next 3 hours and 22 minutes for despatch today. 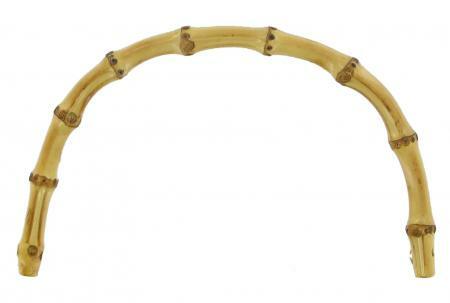 This Bamboo handle is used on straw/ canvas summer bags and if yours has broken, here is the chance to repair it. Or indeed if you are the handy sort of person who makes their own handbags, this handle might prove useful. The span between the ends is 175mm and both ends are pre-drilled with a hole with 4mm diameter.